Over the summer months, it might seem like your car is losing more fluids than normal. The heat of the summer can cause evaporation to occur at a faster rate, but you shouldn’t see a significant depletion. 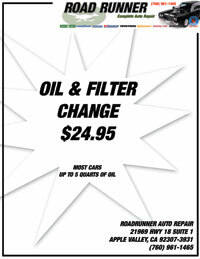 Road Runner Auto Care in Apple Valley can examine the car to check for any leaks that might be present along with changing fluids when required. A common Apple Valley fluid leak in the summer is coolant. The fan, radiator and other components of the cooling system work harder in the summer to keep the motor and other parts of the car cool. If something happens to the water pump or the radiator, then you might see green coolant under the car. It’s important to get this issue fixed because overheating can cause damage to the head gasket and the motor of the Apple Valley vehicle. Hoses can easily crack in the summer months as the heat dries them out. This means that you could see a variety of fluids under the car, such as oil, coolant, transmission fluid or water. Road Runner Auto Care in Apple Valley can check the hoses, replacing them if needed. Avoid patching a hose because it usually won’t last long, and it can sometimes do more harm to the vehicle than it would help. Check the oil before the heat of summer arrives, changing it if you’ve driven enough miles between oil changes. The transmission fluid should also be checked to ensure that it’s at a proper level. As the Apple Valley car gets hotter in the summer, it will work harder to change gears and require more power, especially if the air conditioner is on all the time. 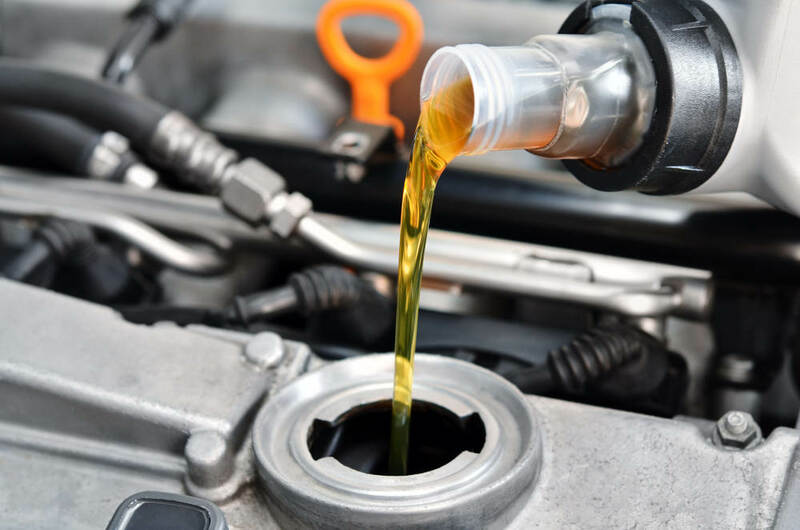 Road Runner Auto Care can properly change the transmission fluid as you don’t want to let it get too low, which can cause damage to the internal aspects of the part.